Tate Modern’s two-part retrospective juxtaposes two artist-photographers: William Klein and Daido Moriyama. The Tate Modern’s exhibition ‘William Klein + Daido Moriyama’ is introduced with projections of primary coloured New York city street signs, writes Sarah Snaith. Punctuated with a jazz score, the 1958 short film Broadway by Light embodies Klein’s evident interest in layered city landscapes, capturing fragmented juxtapositions of the living and the manufactured. Images from William Klein’s short film Broadway by Light, 1958. Top: Candy Store, New York, 1955. 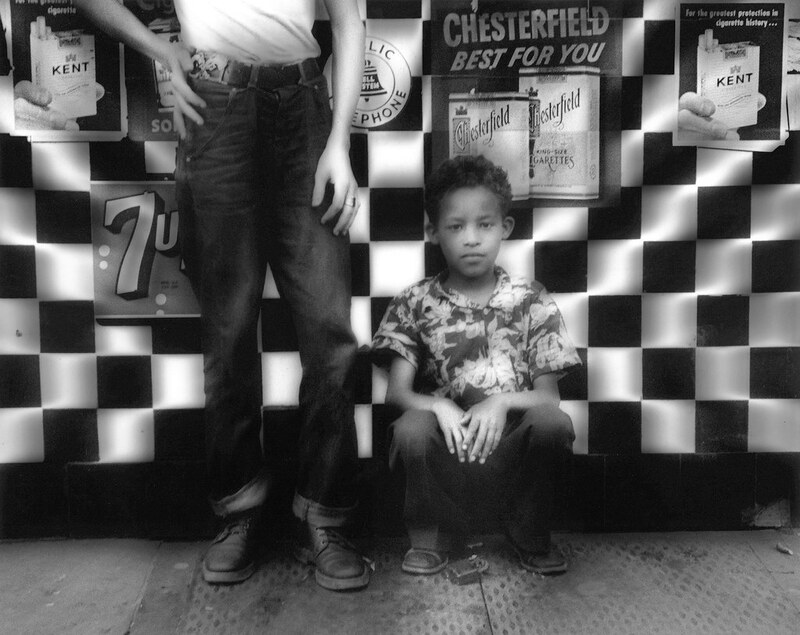 © William Klein. The film boldly positions Klein, born 1928 in New York, as one half of the two part retrospective, as an the artist / photographer / film-maker with a sense for graphic communication. En fin (a reflection of his career long move to Paris), Broadway by Light documents New York’s transition from the rapidity and chaos of night to the bleak sobriety of morning. Installation shot of Klein’s Room 1, courtesy Tate Photography, showing an array of his graphic covers, art and photography. Selective use of colour, depth of field, close cropping and Klein’s proximity to his subject matter unfolds in the exhibition’s later rooms, which emulate his constant discipline shifts from film to photography, art and graphic design. Enormous photographs of Klein’s work for Vogue art director Alexander Liberman (see Reputations, Eye 10) are intermingled with wide-angle street photographs, all of which maintain Klein’s aim of wanting ‘the viewer to be aware of his presence in the scene’. Fashion models are captured on Zebra crossings; they perch on the roof of a skyscraper, faced with their own images reflected in full length mirrors. While less textural, grainy or blurred than his diary style work, the models’ polished appearance stands out against the attire of passers-by. 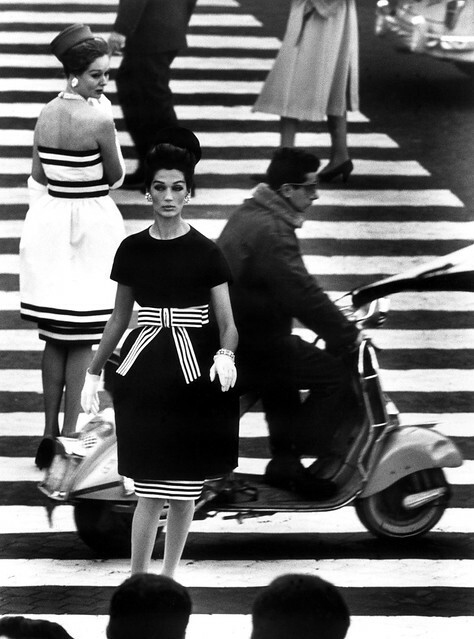 William Klein’s Piazza di Spagna, Rome 1960. © William Klein. 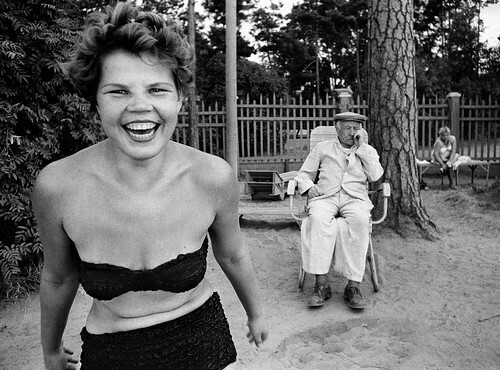 Bikini, Moscow, 1959 (right below). © William Klein. Overshadowed by Klein’s Room 7 Contacts series, Moriyama’s photographic studies, in search of ‘truth and reality’, are temporarily lost in the comedown from Klein’s intense practice. However Moriyama’s studies of fishnet stockings, facial details and other abstract elements are worth closer consideration, as is the Polaroid room that subtly distorts proportions and space. Daido Moriyama, Tokyo, 2011. Courtesy Daido Moriyama Photo Foundation © Daido Moriyama. 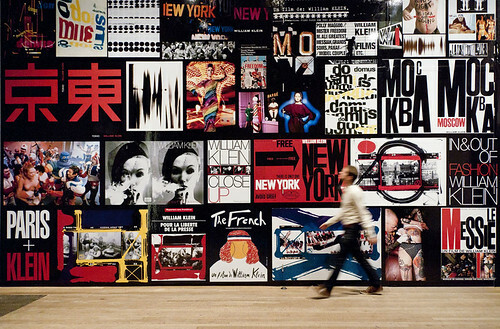 William Klein + Daido Moriyama continues at Tate Modern until 20 January 2013. 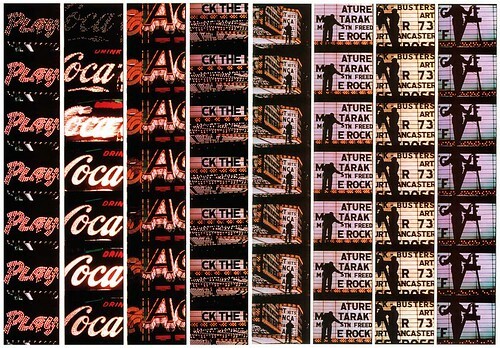 There are also regular Tate screenings of William Klein’s films from 1958-1999.